The answers to this FAQ are meant to give the first time thru hiker of the John Muir Trail (JMT) a starting point in thinking about their hike. If you haven’t yet, check out the JMT 2018 thru hike video. 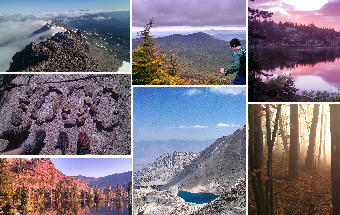 In 2012, I thru-hiked the Pacific Crest Trail, and on arriving at Mt. Whitney, hiked all of the John Muir Trail north to Yosemite Valley before returning to Tuolumne Meadows to continue on the PCT – Mid June to Lake June, Northbound. In 2014, SweetPea (my wife) and I, along with a three friends thru-hiked a traditional JMT thru hike, starting at Happy Isles in Yosemite Valley and hiking southbound to Mt. Whitney – Mid July to early August, Southbound. In 2016, SweetPea and I thru-hiked the Pacific Crest Trail, and hiked the JMT from Crabtree Meadows to Tuolumne Meadows (missing the dog-leg from Crabtree Meadows to Mt Whitney as well as the dog-leg from Tuolumne Meadows to Yosemite Valley – Mid June to late June, Northbound. In 2018, I thru-hiked the JMT beginning at Cottonwood Pass (south of the JMT). I went up to Whitney from there and began a full northbound thru-hike, ending at Yosemite Valley – Mid to late September, Northbound. 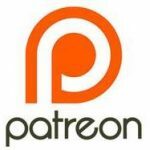 WHAT ARE SOME BASIC STATS ABOUT THE JOHN MUIR TRAIL? The official length of the trail is 211 miles. The shortest thru hike of the JMT is actually 222 miles, including the hike from Mt Whitney summit to Whitney Portal. Total elevation gain on the JMT is roughly 47,000 feet. 160 miles of the JMT are coincident with the Pacific Crest Trail. The highest point of the trail is Mt Whitney at 14,505 feet. The lowest point of the trail is in Yosemite Valley at just over 4,000 feet. The trail passes through Yosemite National Park, Ansel Adams Wilderness, Inyo National Forest, Devils Postpile National Monument, Kings Canyon and Sequoia National Parks. WHAT SLEEPING BAG RATING DO I NEED? The JMT crosses a range of elevation. The climate up in the Sierra Nevada can be quite variable during the summer and fall months. 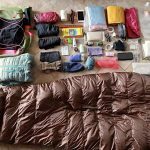 In my hikes, I have used a 32 degree bag once (first PCT hike) and a 20 degree quilt for the remainder of the hikes. I would highly recommend using a 20 degree bag. When you find yourself sleeping at upper elevations, this will be much more comfortable. Even in 2014, in the warmth of late July/early August, I liked having the 20 degree on several nights. CAN I HAMMOCK CAMP THE JMT? Yes, it is not too hard at all. On three trips through, I have used a hammock. On my first trip through, I used a tent. There are a few places where you cannot hammock. Guitar Lakes comes to mind – but, it can be quite cold up there (possibly the coldest night on the trail), so I have never missed camping up there. In general, one needs to plan their miles in such a way where you are not sleeping on passes. This should be considered regardless of your shelter/sleep system as to avoid weather exposure. Most of the wide-sweeping views that you will see in hiker’s photos are not where hikers are camping. DO I NEED A BEAR CAN? Quite simply – yes. While there are some areas on the route where bear cans are not needed, I wouldn’t recommend trying to work out the logistics in a way where you are only camping in the non-canister required areas. Let the hike flow more naturally, and just get a bear can. The park and rangers want you to have a bear can through the whole thing. Just do it. WHAT SIZE OF BEAR CAN DO I NEED? Most folks will be well served by a can which has around 700 cubic inches. The Bear Vault BV500 fits this bill and I have used this can on two of my trips down the JMT corridor. I can get about 6 days of food in this can. Twice, I have used Bear Vault’s smaller size, the BV450, which is 440 cubic inches. It is really pushing it for 6 days of food unless you have your food really dialed in (packaged well, good calorie to space ratio). The Bear Vault cans probably have the best weight to cost ratio. There are other lighter cans available as well – Wild Ideas makes lighter and really nice cans too. I have had the good fortune of borrowing Bear Vault cans from friends each time I have hiked through. Of note – If I had a 7 day carry leaving a town and some of my food doesn’t fit in the bear can, I don’t sweat it – I can eat down some of the food during that first day so that I when I go to sleep, all of my food and smell-able items are in the bear can. Do put your toothpaste, soap, etc.. into your bear can at night. Practice packing your bear can before you leave for your trip. You can not use simply an Ursack or a Opsack Loksak on the John Muir Trail. I wish that you could! Check out the following links for more specific info on Bear Storage Requirements for areas along the John Muir Trail. Sequoia and Kings National Park, Yosemite National Park, Inyo National Forest or, just get a bear can and move on with your planning. WILL RANGERS BE AROUND TO CHECK MY PERMIT AND BEAR CAN? Maybe. I have been officially checked once during the height of JMT hiking season. It is pretty random, and you may not be checked at all. This should not dissuade you from getting a permit or carrying a can. I have ran into rangers at other times while on PCT thru hikes that stop and chat, but do not ask about a permit. They can most likely tell if you are a PCT hiker or JMT hiker (this will make sense to you once on trail 🙂 ), and can look at your pack and see if you have a can. When my friends and I were checked in 2014, the ranger was a stickler, making everyone empty their pack to get at their bear can and checked the permit thoroughly. WHEN SHOULD I THRU HIKE THE TRAIL? Mid June, July, August, and September have all been very enjoyable times for me to hike the JMT. But, it comes with some caveats. The high passes during a normal snow year will be most likely be covered with snow into July. You do not need to let the presence of snow be a deterrent, but many hikers find the walking and navigation much easier when the passes are largely clear of snow. My ideal time would be starting anytime mid July and being off trail by late September. This is actually a pretty big window. IS THE JMT HARD TO NAVIGATE? Not usually, as the trail is well marked. When there are junctions, there are typically sign posts. If the trail is clear of snow, then it is quite easy to follow. However, if you are on the JMT when there is snow on the passes, it could be difficult to navigate. Early and late season hikes may find miles of snow on both shaded and sunny sides of mountain passes, and one could find themselves off trail fairly easy. Often there are footprints to guide one, but if the snow is fresh, or has melted and snow-cupped, it may be difficult to rely on previous traveler’s tracks. Using navigation aids such as maps and apps are part of the fun of the hike. You can study up on what land features lie ahead as well as gain understanding about the land and surroundings that you are trekking through. It is becoming less and less in vogue to take paper maps and know how to use them with a compass. I encourage you to resist this trend and take maps and compass and know how to use them. No need for a lecture here on phone battery death, getting lost, etc…I’d recommend using either Tom Harrison’s JMT Map Pack or Halfmile’s PCT Maps, Section H, which includes the JMT section. If you are hiking in/out from south of Crabtree Meadows, also consider taking Halfmile’s PCT Section G.
If you need some assistance learning how to navigate with map and compass, consider this book from NOLS. YouTube has several videos as well. Local outdoor shops and clubs may have classes where you can learn some basics. Atlas Guides has a great app for the JMT. Info is included about campsites, water, elevation profile and you can use it as a navigation assistant. The first smartphone app that I bought was Guthook’s guide (Now called Atlas Guides) for the JMT. This app is very useful, and I highly recommend it. HOW IS CELL SERVICE ON THE JMT? There is little cell service along the JMT. Enjoy your break from social media and constant communication. HOW LONG WILL IT TAKE ME TO HIKE THE JOHN MUIR TRAIL? This answer to this question completely depends on you. It depends on your fitness level, your ability to acclimate to elevation, the hour you wake up and get moving, the length of your break times, the time you want to arrive at camp, and….your walking pace – among other things. Most folks will hike the trail over 3 weeks or more. I have hiked the JMT as fast as 14 (solo) days, and as slow as 21 days (in a group). I am generally an advocate for maximizing your time in the wilderness, and believe that you shouldn’t rush a great experience. In a basic, but effective way, one can take the total number of miles that will be hiked (including off-JMT miles for resupply), divide it by the number of miles that you want to hike each day. Add time for resupply and zero or nero days and you will get a number that will be a decent estimate for the length of your hike. Ex. The total length of our 2014 JMT hike was 241 miles. This southbound hike, which went from Happy Isles in Yosemite Valley to Whitney Portal included doing the Cloud’s Rest Alternate, and resupplying at Tuolumne Meadows, Mammoth (with a zero day), Independence/Bishop (with two zeros to sort out some transport logistics). The extra miles beyond the absolute 211 miles of the JMT include the side trip off of the JMT to go into Independence, the miles coming down Mt Whitney to the Portal, and the Clouds Rest alt. 241 total miles / 14 miles per day = 18 hiking days. This was a nice moderate pace. We were hiking with friends that we hadn’t seen for some time, enjoyed swimming times, and just relaxing. Our first and last days were not 14 mile days, nor were most days going in and out of resupply. So some days are more than the average and some are less. The group was comprised of physically fit individuals that did moderate training for the hike. If this is one of your first big hikes, my advice would be to plan for 25ish days, allow yourself some time to recoup in town as well as relaxing time on the trail. HOW PHYSICALLY DIFFICULT IS THE JMT? The JMT is a well built and well maintained trail. Chances are that you will see crews out working on the trail if you are hiking in high season. You won’t find yourself pushing through miles of thicket and brambles or going straight up drainages. The elevation gain and loss, however, is substantial. Be in solid physical condition when you begin this trail, as you will enjoy the experience more if you are not huffing and puffing terribly on every pass. You will be hiking a high mountain pass on most days and some of the passes are long and physically demanding. That being said, there is a lot of nice walking, and the climbs are well switch backed. Honestly, it is some of the best trail and tread that I have hiked. Be in shape, and if you have an opportunity to spend some time in elevation before the hike, even better. If you cannot spend time in a high elevation area shortly before your hike, take the first few days slow with low miles as you gain acclimation to the altitude. Maybe hike a half day to start, and then moderate full days, in general taking your time for the first 30-40 miles. Consider putting together a plan to get yourself in shape. This post gives our basic protocol/philosophy for preparing for a long hike. WHAT ANIMALS LIVE IN THE WILDERNESS CORRIDOR OF THE JMT? 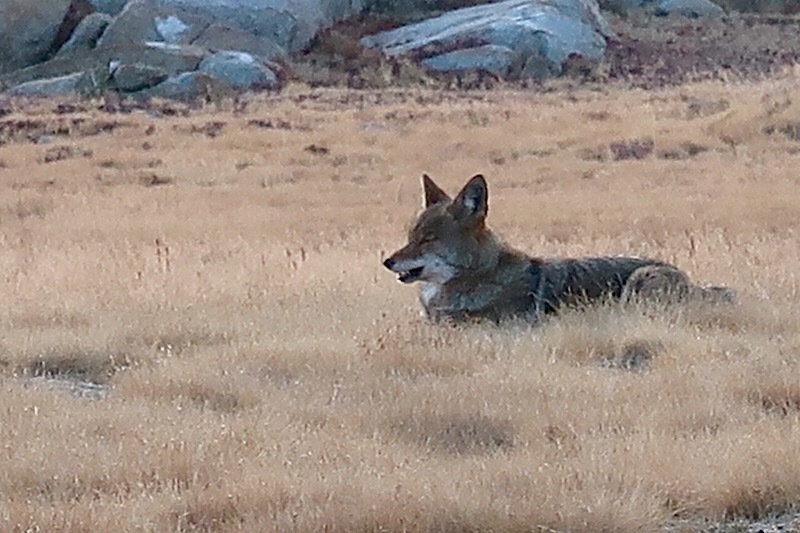 I have seen bobcat, coyotes, fox, deer and other smaller animals on the JMT. There is a presence of black bear and mountain lions living in the area. DO I NEED SPECIAL SNOW GEAR? If you are hiking in the early part of the season during a moderate to high snow year, you may want to consider carrying an ice axe and some sort of traction. In our 2016 PCT thru-hike, we carried MicroSpikes. The passes had a decent amount of snow and sometimes it was slippery. We have had careful/experienced friends go down some treacherous slides and get injured, so be aware that it can happen. If you are out on the trail during the middle of the season, the chances of needing to use an ice axe or traction diminish unless there is a weather event changing delivering substantial snow onto the mountains. Be aware of current snow levels in the mountains and weather conditions. We have written specific articles dedicated to resupplying on the John Muir Trail and the Pacific Crest Trail section that is along the JMT. Check out both. DO I NEED A PERMIT TO HIKE THE JOHN MUIR TRAIL? Yes. You may or may not see a ranger while on trail, but don’t risk not having a permit. The permits are to keep visitor numbers in a range that is believed to be less impactful on this beautiful environment. This National Parks Service Page has the needed information for applying for a permit, and more explanation. 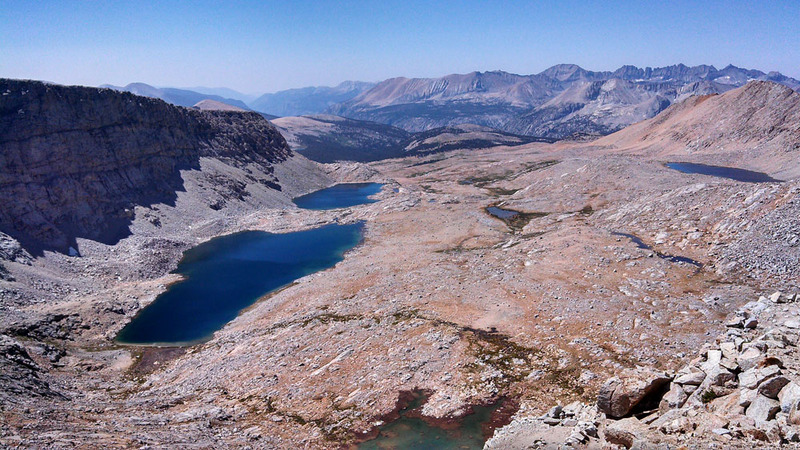 Click here to begin the John Muir Trail Permit Application. NORTHBOUND OR SOUTHBOUND / WHERE SHOULD I START? Start at Whitney Portal – This is a traditional northbound starting location. Permits to hike the JMT are more easily attained from this end of the JMT. Disadvantages – 1) you go over Whitney in the first few days, and it seems less climatic for some hikers 2) Elevation gain that is made from the portal to the summit of Mt Whitney is large, and can be difficult if you are not already acclimated from spending time at high altitude recently. 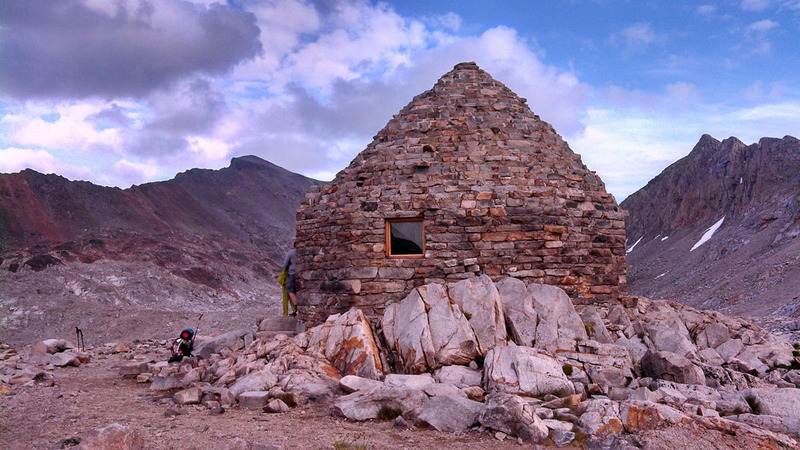 Start at Cottonwood Pass – This adds roughly 21 miles to your overall hike. Advantage – permits are easier to get at any time of the year. I did this in 2018 and really liked it. Disadvantage – you go over Whitney in the first few days, and it seems less climatic for some hikers (I do not find this to be the case). Start at Kennedy Meadows – Kennedy Meadows is a classic resupply location for PCT hikers, and the beginning of the high Sierra range for their northbound thru hike. Starting here would give you more time in the wonderful Sierra Nevada and allow for some acclimatization, (probably the easiest of all of the options I list here). I believe the permitting for this option would be among the easiest to get (especially if your hike is after July 1st (past the PCT hoards), and if time allows, I highly recommend it. This option would add on roughly 63 miles to your overall hike. Disadvantage – like the other northbound options, Mt Whitney is not your end point. Start at Happy Isles – This is what most hikers would consider the most traditional starting point for the JMT. This IS a great place to start your hike (we began here in our 2014 hike), and most hikers will like starting here. You start at lower elevation and work your way up to Tuolumne Meadows where you can send a package for resupply and even take a day off, camping in the backpacker campsites, while having access to burgers, fries and other goodies. 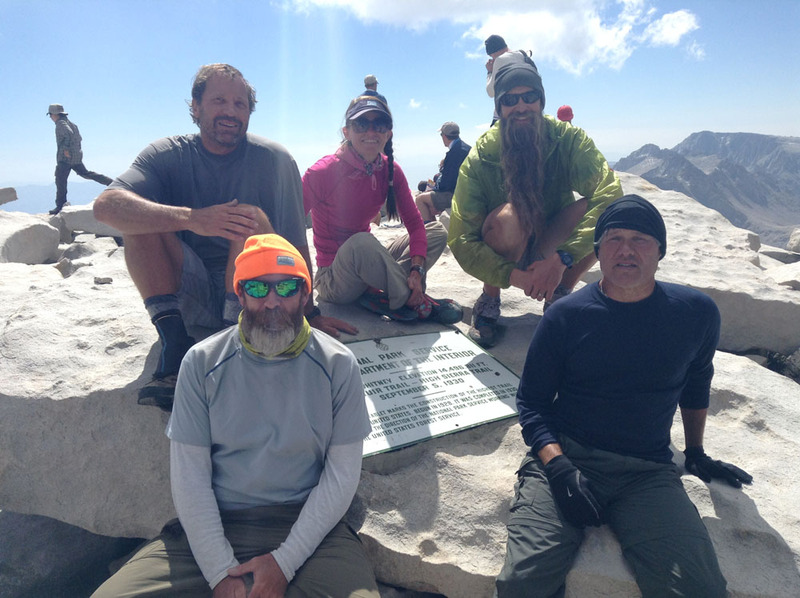 Starting at Happy Isles will have you finishing your thru hike on the magnificent Mt Whitney summit, which most will find to be a very climatic end to their journey. Disadvantage – It is more difficult to get a permit leaving from here. There are camp locations heading up from here (towards Tuolumne Meadows) that are in high demand and the fact that you are hiking a longer route than most is not of considerable help in attaining a permit. This National Parks Service Page has more information on alternate starting points at the northern end of the John Muir Trail. The NPS also explains the quota system for that end of the park so you can understand why permits have become more difficult to get. Give the NPS a call and chat with a ranger, tell them when and where you would like to start. If that itinerary is difficult for them to accomodate, ask if they have alternate recommendations that may put together your plans easier. A quick final thought on starting location – Don’t get too hung up on your starting location. Having started at different places, I don’t believe that my hikes have been made better or worse because of a specific starting location. Its about the journey…. Walk-up permits. If you have some flexibility in your schedule, you can try to get a walk-up permit at the ranger’s office. Sleep on the door step, or come early to get the permits that are reserved for walk-ups or attaining a permit that didn’t get used. The Lyell Canyon Trailhead (basically Tuolumne Meadows) has a mix of permits – 60% are available by reservation and 40% as first come, first serve. Other locations in the Yosemite/Tuolumne Valley area are not terribly reliable for a walk-up permit as the permits are all done by reservation and walk-up permits would only be available if there is a cancellation. Note – If you are thru hiking the Pacific Crest Trail, you do not need an additional permit to hike the majority of the JMT. The PCTA permit process allows you to get a permit for Whitney when applying. The section from Tuolumne Meadows down to Yosemite Valley requires a separate permit that needs to be attained from the ranger stations on arrival. In 2014, our group of 5 applied several times (over 2 weeks) for several different start dates, and ultimately succeeded. In 2018, since I started at Cottonwood Pass after September 16th, I was able to easily get a permit as Cottonwood Pass had no quota limits on entrance from there at that time of the year (I just went to the ranger station in Mammoth and was handed a permit on the spot). Generally, it is going to be easier to get permits if you are hiking solo or with just one other person. There are a lot of people hiking the two official ends of the trail – the areas between Yosemite Valley and Donahue Pass, as well as Whitney Portal up to Mt Whitney. It will also be easier to get a permit in June or September than in July and August. That being said, the JMT has become so popular in recent years that permits are in high demand for most of the summer months. Additional Questions? Write them in the comments below.